What else is there to say about Baron Kurtz? Our self-appointed 62-second timeline has us, once again, face-to-face with the character’s gargoyle-ish visage and his ever-present dog. He has just explained to Holly the circumstances surrounding Harry Lime’s death, but something is amiss: Kurtz’s evasive, overly tidy version of events seems misleading, if not outright deceitful. His account of Harry’s death differs significantly from that of Karl, Harry’s former porter, who claims that Harry died instantaneously. It is at this point, then, that Holly begins to suspect what the audience may have presumed right away: that the relationship between Harry and Kurtz may have had a dark undercurrent, and that this dubious association does not shed positive light on Harry’s alleged criminality. Holly becomes even more suspicious when he asks Kurtz who the woman was at Harry’s funeral. “Some girl at the Josefstadt Theatre,” Kurtz dismissively replies, and quickly stresses that Holly shouldn’t speak to her: “it would only cause her pain,” he says unconvincingly. (It is also at this moment that Kurtz takes two steps towards Holly, uncomfortably invading his personal space—is Kurtz’s encroachment a reassuring or a threatening gesture?) Perhaps more importantly, Kurtz tries to convince Holly not to approach her because he may in fact discover something “discreditable” about his longtime friend. Kurtz knows all too well the ignominious truth that Holly might uncover, and it seems likely that he’s more concerned with protecting himself than Harry Lime’s reputation. Kurtz remains a cypher despite the fact that we’ve had several occasions to investigate his character; it seems likely we’ll never know exactly what drives this man, what’s going on in that conceivably turbulent mind of his. 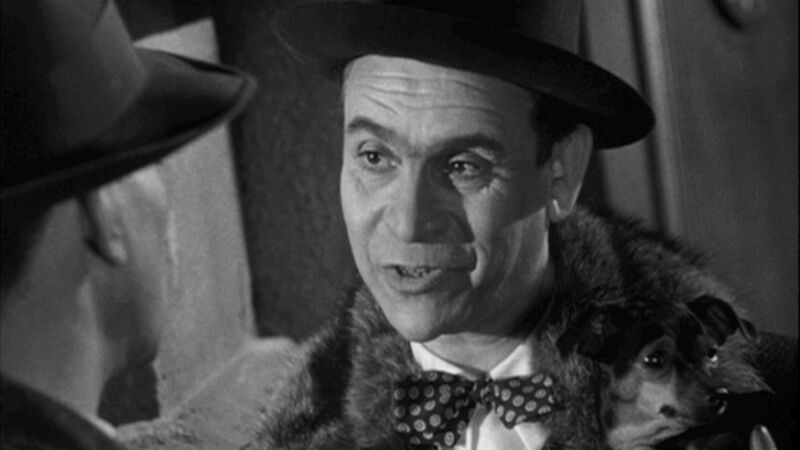 (There’s something vaguely absurd about his appearance and his accoutrements, what with the bowtie, immense fur collar, and bug-eyed animal perpetually clashing. Kurtz is, in other words, a walking paradox, a quasi-villain whose nature nonetheless remains unknowable.) Meanwhile, next week we’ll be introduced to another of The Third Man‘s most fascinating characters: Anna Schmidt, whose former romance with Harry provides an emotional counterpoint to Holly and Harry’s longtime friendship (and to Holly’s growing disillusionment). For the time being, then, maybe we can venture down a tangential backroad. There is another “character” who makes an implicit appearance in this scene: Emperor Franz Joseph I of Austria, whose statue can be seen in the background (indeed, Harry is claimed to have died at the foot of this statue) and who is indirectly mentioned by name via the Josefstadt Theatre. In fact, the street on which this scene was shot (and on which Harry lived in Vienna) is called Josefplatz. 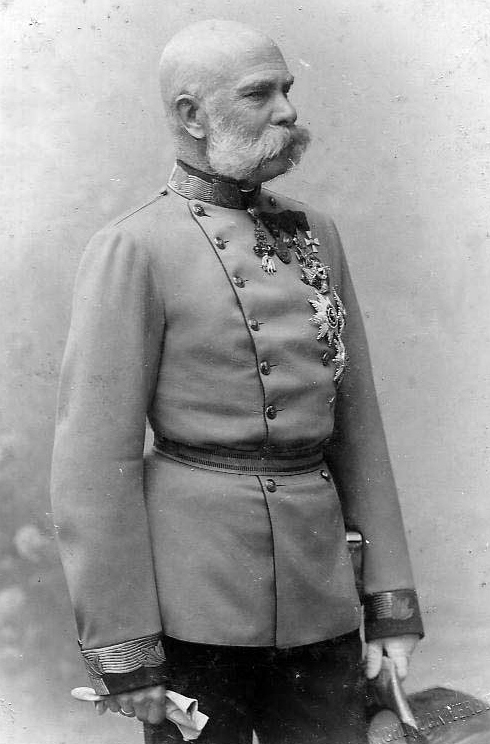 Franz Joseph I ascended to power in December 1848, at which time his uncle, Emperor Ferdinand I, abdicated the throne in response to turbulent revolutions that had been plaguing the Habsburg Empire (as well as numerous other European territories, notably France and Italy) since early that year. Central to these nationalistic revolutions was “the German question.” From 1815 to 1871, Germany consisted of 37 independent states as well as territories belonging to the Austrian Empire and the Kingdom of Prussia. The German question, then, was a prominent debate concerning the unification of all German peoples: Austria supported the “Großdeutsche Lösung,” which would unify all German-speaking peoples under one state; the Kingdom of Prussia favored the “Kleindeutsche Lösung,” which would have only unified the northern states at the exclusion of Austria. The German question and the 1848 revolutions came to a head with the Austro-Prussian War of 1866, during which Franz Joseph I ruled the Austrian Empire; after Austria’s loss in that war, a treaty known as the Peace of Prague settled in favor of Prussia, thus preventing the unification of all German peoples into one state and severing Austria from present-day Germany. Joseph I was known mostly as a reactionary ruler, at first granting a constitution in 1849 to appease Austrian nationalists, only to repeal the constitution later that year and establish a rule of imperial absolutism. (He was also plagued by a tragic personal life that included his son’s suicide in 1889 and the assassination of his wife, the Empress Elisabeth, in 1898.) Besides the establishment of Germany following the Austro-Prussian War, the most significant development during Joseph I’s reign was surely the assassination of the Archduke Franz Ferdinand, the heir to the Austro-Hungarian throne and Joseph’s nephew, in 1914. Committed by Serbian nationalist Gavrilo Princip, this assassination was largely a response to Joseph’s annexation of Bosnia and Herzegovina in 1908, a tempestuous union which would instigate a chain of events leading to continuing violence in the area throughout the 20th century (including the Bosnian War of 1992-1995). Infamously, Franz Ferdinand’s assassination also led to Austria-Hungary’s declaration of war against Serbia, which catalyzed a series of alliances that resulted in World War I. History is, in other words, a process of constant transformation, the cyclical breaking-down and rebuilding of “the existing state of things” (by which he seems to mean the political machinery of economics, government, law and order, class hierarchy, etc.). The theory is revolutionary and critical because it envisions the destruction of established order, of the status quo, by immediate social actions that instigate a chain of definite, perceivable causal effects. Using Marx’s dialectical materialism, we can trace a semi-straight line from the reign of Emperor Franz Joseph I to the tumultuous postwar Vienna of The Third Man. History, according to Marx, was not a succession of isolated incidents but a sprawling, causally-linked chain of events. The reign of Joseph I, then, with its formation of the German state at the exclusion of the Austrian people, as well as its swift militarization against Serbia and its allies following Franz Ferdinand’s assassination, is inextricably connected to the first two global wars, if not necessarily a direct catalyst for them. It seems remarkable how closely this theory applies to the destructive effects of World War II, not to mention The Third Man‘s reaction to them. Obviously the world had experienced war before, but had any of them been on such a global, mass-destruction scale as World War II—atrocity repeated in a different way, on a “higher basis”? How could this catastrophe not spiral out in all directions, establishing a rupture in the history of humanity, a “break in continuity,” to use Lenin’s appropriately cinematic phrase? There’s no doubt that the actions of Harry Lime (which will soon be revealed to us) and Holly Martins are subject to the “contradiction and conflict of the various forces” playing out both upon them individually and within postwar western society, forces that do in fact reveal “ever new aspects” of what people and nations are capable of—though this revelation may reveal depths of human behavior that we may have preferred had remained concealed. To put it briefly: it’s only appropriate that Harry Lime ostensibly died at the foot of Emperor Franz Joseph I’s statue, and that the specter of the emperor makes a few other fleeting appearances in The Third Man: he acts as symbolic proof, in a way, that large-scale historical phenomena inevitably influence the world and its inhabitants even a century or more after their occurrence.